We’re very proud to have had our site featured in this very informative and well written article in Antiques & Auction News – Lladro – A Passion For Porcelain. They specifically referenced our Lladro trademarks guide and showed how it can be used to protect yourself from purchasing fakes and forgeries. 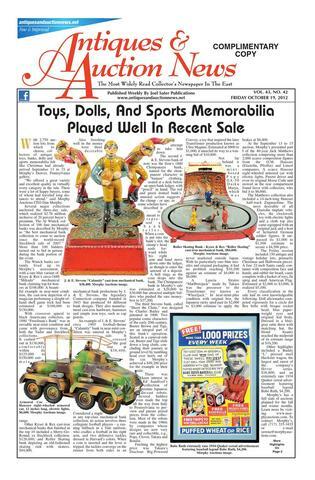 About Antiques & Auction News: Antiques & Auction News is a weekly newspaper covering the eastern U.S. from Maine to Florida, with heaviest distribution in Pennsylvania, New York, New Jersey, Maryland, Virginia, D.C. and Ohio. It is distributed at antique shows, markets, auctions, shops and centers as well as being available for subscription by mail. They offer the latest news on collectibles, antiques and auctions of said items in their geographical area. Alderfer Auction & Appraisal To Host Figurine Auction Online With Artfact Live!